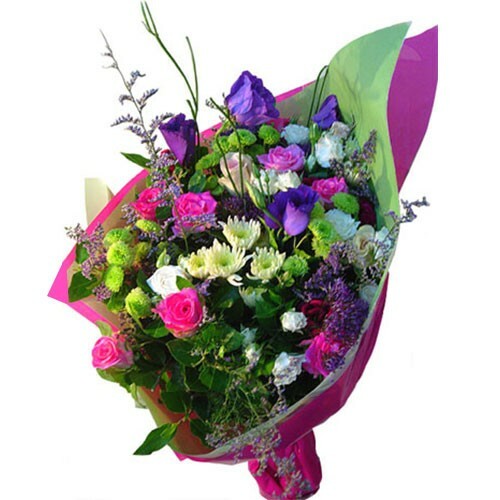 Whether it's a birthday, graduation, celebration, or even with no occasion at all, this marvelous and colorful arrangement of pink, white, lavender and green flowers is guaranteed to draw a big smile on someone's face. Show them just how much you care. Note: We use only the freshest flowers available, so colors may vary. Special Conditions We use only the freshest flowers available, so colors may vary.